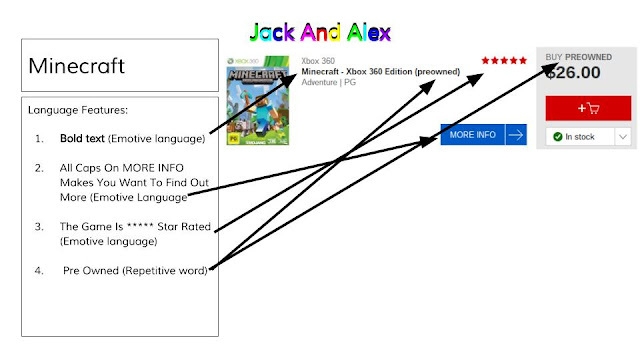 Today we had to do persuasive language features on one of these site, EB Games, Lego Friends and Hotwheels. Alex and I chose EB Games and Found Minecraft. We saw that it was 5 star rated, it had repeated words, it had words in all caps and there was bold text.